Healthy and nutritious, oysters are as much a part of life here in France as red wine, cheese and baguettes. They will be seen everywhere over the Christmas season, piled high in supermarkets, on market stalls, on stands by the roadside and served in abundance in restaurants, wine bars and even coffee shops. 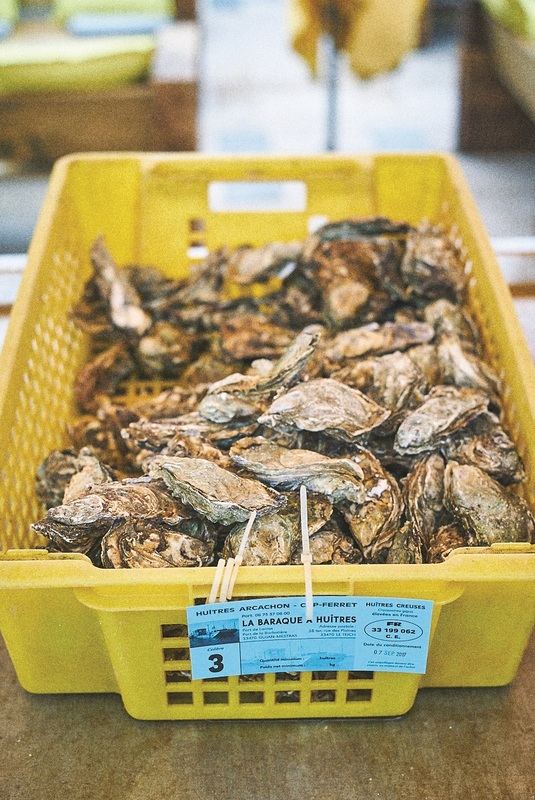 Oysters have been a source of delight since prehistoric times, well before the Romans extolled their virtues, but we can thank Napoleon III for the first oyster farm in Arcachon in 1849. 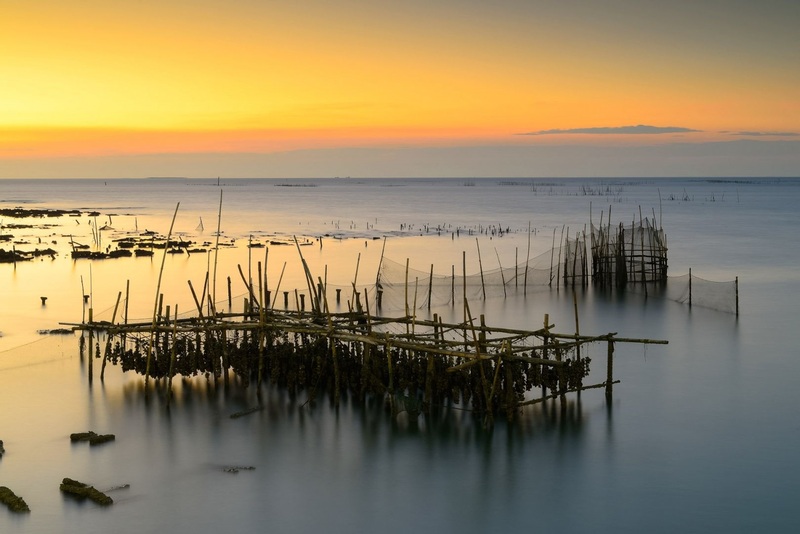 Today, they are a prized delicacy, and, in fact, Arcachon is believed to produce 60% of the oysters consumed in France. This is great news, not just because we now have a wealth of farms in the area but also because our regional varieties have a creamy, refined, delicate taste and texture that is hard to find elsewhere. 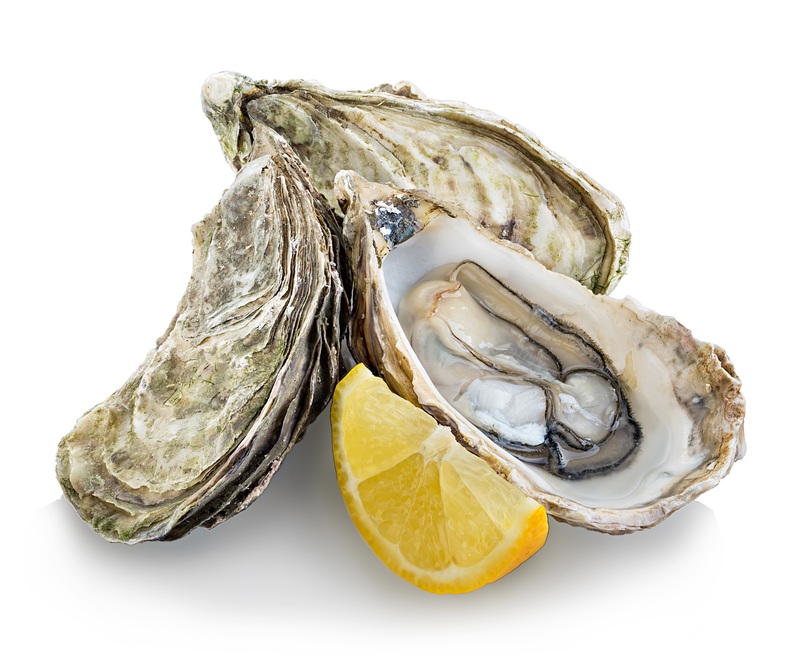 Known to be an aphrodisiac, particularly for men who have low levels of libido boosting zinc, they contain way over the daily required zinc dose in just one oyster. Add high levels of protein, vitamins C, D and B12, iron, manganese and copper into the mix, along with a host of other essential minerals, and it is easy to see why their antioxidants, omega-3 fatty acids and beneficial cholesterol can lead to healthy hearts and bodies. In addition to preventing cardiovascular diseases, they can also improve blood circulation and, by building bone strength, can even help with osteoporosis. Known to boost the immune system, an oyster (or six) a day may well help to keep the doctor away by warding off infections and healing wounds quicker. What’s more, they are low in calories. That is, of course, as long as you don’t eat them with copious chunks of bread and alcoholic beverages! Oysters are graded by size: the smaller the number, the larger the oyster. Most oysters around here are fresh from the sea and can be kept in cool, airy conditions for up to five days. If an oyster is open slightly, a tap on the shell should see it closing promptly. If not, discard it. Once opened, they should smell of the sea and be glossy and full of clear liquor, the liquid that is naturally produced by the oyster to keep it moist. This is a simple, straightforward method of opening (shucking) oysters, leaving both you and the oyster intact. Place a folded towel on the workbench and put an oyster, curved side down, at one end. Now fold the towel over it, keeping the oyster flat and securely in place. Oyster knives have rounded blades and you are less likely to cut yourself but, if you don’t have one, use as rounded a knife as possible. Slide the blade at a downward angle into the oyster at the thinnest end, where the knobbly bit is. Then twist the knife so that the hinge pops open. Slide the knife along the top shell to release the muscle and then replace the lid. Place in the fridge at this point, leaving the bottom muscle attached to the oyster. When ready to serve, slide your knife under the muscle to ensure the oyster is free from the shell at the base. Be careful not to lose any precious liquor, flick out any pieces of broken shell and serve. In France, the bottom muscle is usually left to whoever is going to eat it to deal with, using a small fork, proving that the oyster is fresh and hasn’t come out of a jar or tin! Oysters are traditionally served on a round platter decorated with a bed of crushed ice, in multiples of three. Also on the platter there is usually a knob of butter, a dish of horseradish/tomato sauce, lemon quarters and a classic mignonette (finely chopped shallots, red wine vinegar and freshly ground black pepper). Either eat them au naturel or add a slice of butter, a squeeze of lemon juice or a teaspoon of dressing to the oyster and voila, you are ready to indulge. Aficionados recommend that you should first sip some of the liquor to prepare your taste buds and then tip the oyster into your mouth. Swallow or chew is the big question. That’s up to you but, if you are chewing, chew on both sides of the mouth for maximum flavour. Who knew! Far from what you may have heard, fresh oysters are not slimy at all but, if eating a raw oyster isn’t for you, they can be cooked and are even available smoked, in tins. 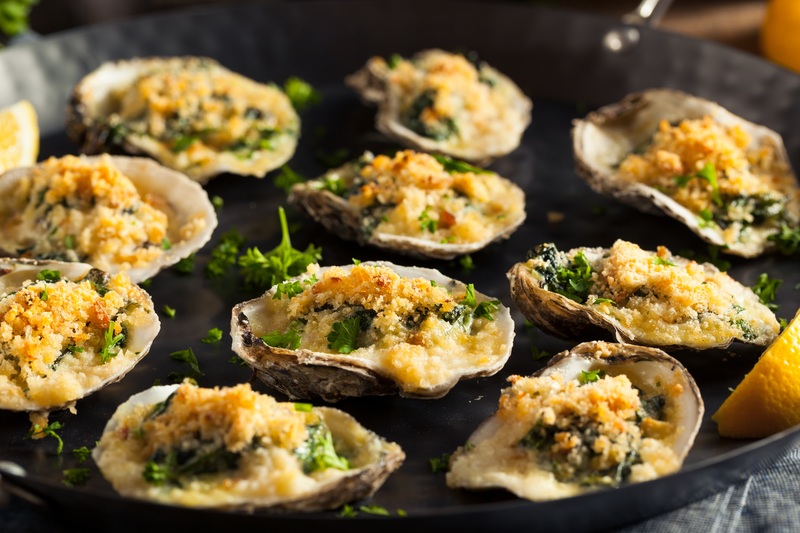 Shucked oysters can be stuffed into beef and then roasted, added to stews (but not cooked too long or they go rubbery) or, of course, served a la Oysters Rockefeller (for an easy recipe take a look at the Gironde Area Information pages on the website). The interior of the shells can be used as decorative pieces alongside other seashells and look especially pretty with a pearl inside. They can be painted any colour and are ideal as jewellery and office organisers – think drawing pins and paperclips, or as salt and pepper servers. Crushed oyster shells are a great deterrent against slugs and snails in the garden. Their high levels of calcium carbonate also mean that they can help to regulate pH levels and improve fertilisation when used as a mulch, or they can be left whole to provide drainage in the bottom of a plant pot. Very rarely you might come across a natural pearl inside an oyster. This happens when a grain of sand or tiny rock particle has entered the shell. The oysters’ natural reaction is to calcify the intruder with layers of nacre, causing it to harden into a smooth, glossy, egg-like shape and a pearl is born. If you are lucky, have it cleaned and mounted by a professional jeweller.